Small to Medium sized manufacturers (SMEs) are urged to have their say on their productivity and what they would most like to transform by 2020 in the latest National Manufacturing Barometer launched Monday, 23rd October. The survey, conducted by SWMAS Ltd in partnership with Economic Growth Solutions Ltd (EGS), is urging companies to come forward and have their say on one of the biggest internal challenges that SME manufacturers face daily. Open until November 1st, companies are being asked what would they most like to transform – Quality, Cost of Delivery performance to help support their productivity goals. Looking at the various departments within their business and ranking which manufacturers would like to improve by at least 20% by 2020. This quarter, the survey will also look into what methods manufacturers will help improve their productivity the most. 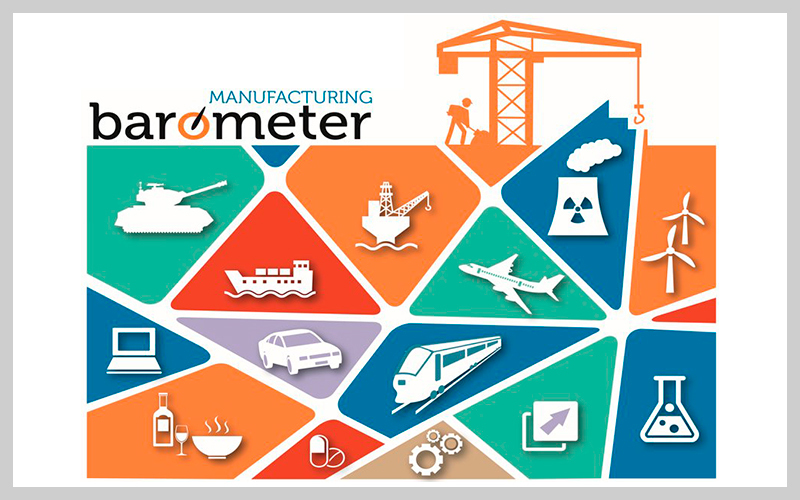 The National Manufacturing Barometer takes no more than 15 minutes to complete and is open to all small to medium sized manufacturers in the UK. All senior managers need to do is visit www.surveymonkey.co.uk/r/stake_A17 and answer each question. In addition to the special focus on productivity, the survey will also find out how SMEs are faring, with firms invited to provide updates on recent/future sales performances, plans for investment and recruitment intentions.